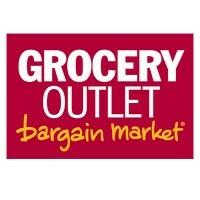 Grocery Outlet is a supermarket chain company in the US that gives big discounts to branded or private label products that are usually overstocked or are for closeout sale. Their products include natural and organic food, fresh meat, refrigerated produce, health and beauty products, and many more. In 1946, the company was started by James Read in San Francisco, California. The company was first named Cannery Sales. However, after the founder’s death in 1982, his sons, Steven and Peter, managed the company and renamed it as Grocery Outlet. The company has more than 250 stores in California, Washington, Idaho, Nevada, Oregon, and Pennsylvania. Most stores are independently owned and are family managed. It also employs around 1,000 people in these states. Grocery Outlet provides a comprehensive benefits package to its employees. Benefits include health, dental and vision insurance, life and disability insurance, 401K retirement plan, and paid vacation and sick leaves. Free lunches and snacks are also given to employees on duty. Since most of its stores are family owned and managed, people like working with the company because of its supportive and understanding management. Performance bonuses are regularly given to employees too. How old do you have to be to work at Grocery Outlet? To secure an entry level position with Grocery Outlet, an individual has to be at least 16 years old. For managerial positions, age requirement is 18 years old and above. Grocery Outlet, as one of the fast growing supermarket chains in the industry, regularly hires new employees. Positions available may vary from one outlet to another. Cashier: A Cashier processes sales transactions and collects payments from customers to complete the process. They may also answer price, services and promotion inquiries from customers. Cashiers may also assist customers in fixing and bagging their grocery items, if needed. Store Supervisor: A Store Supervisor handles the workflow of the store outlet. He arranges the daily assignment and shifting schedule of the store staff. He makes sure that company rules and regulations, and safety standards are followed. The Store Supervisor also regularly evaluates staff performances. Store Manager: A Store Manager oversees the overall workflow of the store outlet. He interviews applicants and trains newly hired employees. He also performs staff work evaluations and does the recommendation for salary increase or promotion. The Store Manager also coordinates with the manufacturers for discount negotiations. Freight Receiver: A Freight Receiver manages the product stockroom. He handles product deliveries and maintains the stockroom inventory. He assists store stockers in making sure that the stores are regularly replenished with merchandise. The Freight Receiver also makes sure that the stockroom is maintained according to the State and company standards. Store Merchandiser: A Store Merchandiser sets up store shelves and racks. He arranges the merchandise according to the merchandise and marketing flow procedures. The Store Merchandiser may also perform administrative tasks like filing expense reports and arranging travel bookings, as directed by the superiors. Grocery Assistant Buyer: A Grocery Assistant Buyer assists the Purchasing department of the store. He makes sure that there is smooth communication between the vendors/manufacturers and the store. Monitoring of grocery shipments, filing and documentation of order forms and maintenance of vendor lists are part of his responsibilities. Beer, Wine and Spirits Buyer: A Beer, Wine and Spirits Buyer purchases, promotes and oversees the selling of beers, wines and other spirited drinks in the store. He also finds and develops good relationships with vineyards and wineries to make sure that that store gets low prices and good discounts. He also monitors special handling and storage of special items requested by customers. Meat Cutter: A Meat Cutter handles fresh, boxed and cured meat products from the time that they are delivered to the store up to arranging them either in the storage area or display area of the store. He monitors all meats in the storage and those displayed to avoid being spoiled. The meat cutter trims and cuts meats and poultry as per customers’ requests. Truck Driver: A Truck Driver is responsible for the overall transporting activities of the store. He makes sure that orders are transported in a safe and timely manner to customers, to the storage area or to other store locations. The Truck Driver also maintains the proper condition of the delivery trucks used. Produce Clerk: A Produce Clerk monitors the delivery, arrangement and inventory of produce products like vegetables and fruits. He monitors products to make sure that they are always fresh and safe for consumption. A Produce Clerk also ensures that safety regulations and standards are followed. To apply with Grocery Outlet, a job seeker may send their application through a job search engine, Glassdoor. The link may be accessed through the company’s official website. Different positions are available per store. An applicant may also to pass their resume through store outlets. Since most stores are independently owned, position requirements may vary. Applicants may go to the outlet nearest their location to check. To complete an online application, the applicant must make sure that all required information is complete, especially the contact details such as the email address and phone number. The company provides updates and follow-ups of applications through email. For an effective resume, it must contain all the pertinent information, especially those that are related to the position applied for. Contact information should be easily seen. Trainings and related experience should be listed in a chronological manner. Grocery Outlet is founded on the culture of leadership and teamwork. The company believes that a flexible and creative approach will help the company, the families who own the stores, and the employees working with them to achieve success. With its fast expansion and very competitive product prices, the company has been compared to famous supermarket brands like Walmart and Whole Foods. The management said that they will continue to be dedicated in offering low prices for quality products to its customers. The company is also known for their close relationship with their shoppers and even with product manufacturers. Good relationship with manufacturers enables the company to maintain their low prices while offering big discounts to customers. On the other hand, the shoppers are consistently updated with promos and discounts through the company’s social media accounts. Grocery Outlet launched a company-wide campaign to help local communities with their fight against hunger and poverty. Customers are able to extend help through food or cash donations. 100% of the donations go to campaign recipients via local food assistance partners. 1 How old do you have to be to work at Grocery Outlet?